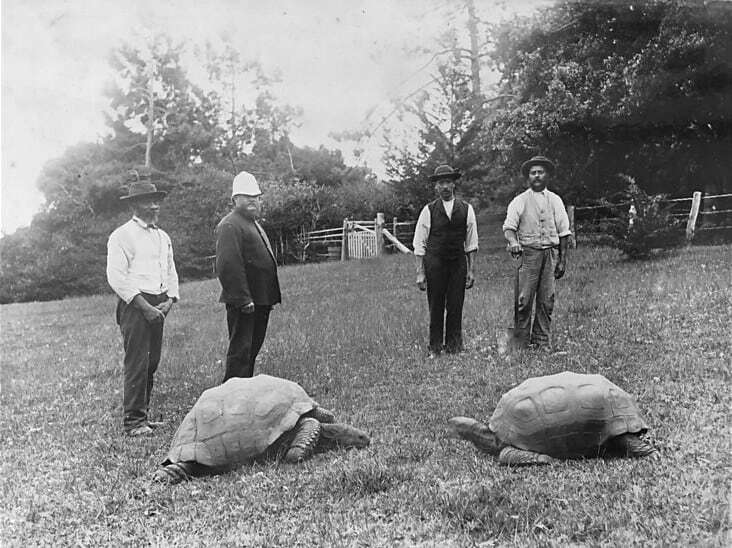 A giant tortoise born in 1832 is currently living on the British outpost of St Helena and celebrating his 187th birthday. As the world’s oldest living animal, he has been around quite a long time. When he was born, Texas was part of Mexico. Jonathon was taken from his home in the Seychelles to Plantation House on the island of St Helena, then still under British rule. Around this time, he was 50. The picture below was taken in 1886 when he was 54-years-old. Jonathon aged just 54 years. We wish Jonathon many more years to come!